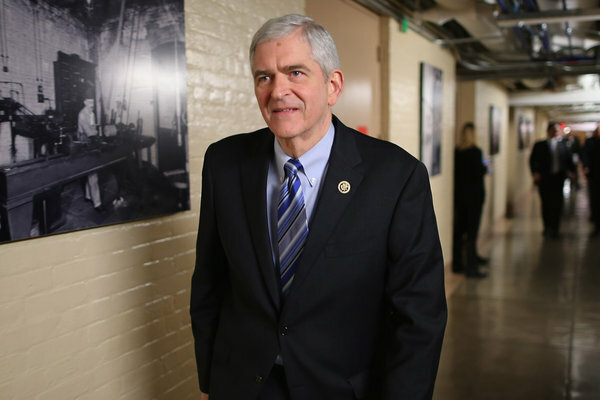 Rep. Daniel Webster, R-Fla., was endorsed for House speaker by the conservative Freedom Caucus. As speaker of the state legislature in Florida, Webster gave the members more of a say, which is what conservatives in Congress want from their next leader. Rep. Daniel Webster, R-Fla., is running for speaker of the House. His chances are not good, but a look at his career explains why he&apos;s the choice of the House Freedom Caucus. Those conservatives in the House say they want a speaker who will not be a top-down leader, but will give members more of a say in what legislation sees action on the floor and who controls committees. Webster says that is the mode in which he ran the Florida House of Representatives when he was the speaker in Tallahassee from 1996-98. "Are we going to just change the personalities in the speakership?" Webster said in a web video pitching his candidacy. "Or are we going to fundamentally transform the way we do business here in Washington, D.C?" Freedom Caucus members insist that their goal is not to get a speaker who is necessarily as conservative as they are. Rep. Mick Mulvaney, R-S.C., told NPR over the weekend that Webster&apos;s voting record makes him "one of the more moderate members of our conference." The American Conservative Union gives Webster a lifetime score of 78.83 out of 100 for his Congressional voting record — in the bottom half of House Republicans and well behind House Majority Leader Rep. Kevin McCarthy, R-Calif., who was rejected by the Freedom Caucus for refusing to commit to their desired style of leadership and dropped out, throwing the race into disarray. Other, more powerful Republicans began expressing interest in speaker after McCarthy dropped out, and there seems to be broad consensus among the House GOP that Rep. Paul Ryan, R-Wis., would be a good candidate. But it&apos;s not clear Ryan would agree to change the role of the speaker. Webster is staying in the race while promising to do just that, and said, "We have a power-based system where a few people on the top of the pyramid of power make all the decisions. All I want to do is what I did in Florida—push down that pyramid of power, spread out the base so that every member gets to be effective. Done. That&apos;s it. That&apos;s all I want." So what did Webster do in Florida? He pushed through a long list of reforms that dramatically changed how the House did business — making it more transparent and empowering rank and file members to submit bills that could reach the floor, even without approval from leadership. One of Webster&apos;s most popular reforms was ending all meetings and business by 6 p.m. each day, a promise he&apos;s also making to members of Congress. University of Central Florida Political Science professor Aubrey Jewett has studied Webster&apos;s reforms in Florida&apos;s legislature. Webster told him it all came out of his own experience as a newcomer. "Back in the &apos;70s, he was basically told the first few sessions that he came up, you might as well not even bother filing a bill cause you&apos;re just a rookie, you&apos;re just a freshman," Jewett said. Some of Webster&apos;s colleagues from his time leading Florida&apos;s House speak highly of his leadership style. Former state Rep. Mike Fasano, a Republican, felt like he and other members did have more of a say, in a system — just like in Washington — where the Speaker can exercise complete control over what legislation moves ahead. "He empowered every member of the Florida House to be able to have their bills heard, to offer amendments, to allow them to participate in debate both in committees and the House floor," Fasano said. He added that Webster "brought everyone to the table." Webster says he wants to bring some of those same ideas to Congress. Important issues, like the budget and the debt limit he says, would be taken up early. But the choice of whether to go to a government shutdown he said would be decided on the House floor, and a vote of the members. Democratic U.S. Rep. Lois Frankel of West Palm Beach served with Webster in Florida&apos;s legislature. She said he was willing to work with Democrats and likes his proposal to give more power to members — if it includes both parties. "If it&apos;s just about bubbling up some of the extreme right-wing ideas members have who have been holding up progress, well then I think we&apos;d be wasting a lot of time," Frankel said. Given that Webster is a long-shot to win the speaker&apos;s race, many would say this race isn&apos;t the most effective use of his time, especially considering the new problem he has in his own race for reelection back home. As part of a lawsuit over gerrymandering, a Florida judge issued a new map for Webster&apos;s Republican-leaning district on Friday, making it now heavily Democratic.